Our Fellows — DOG TAG INC.
Dog Tag Inc. Fellows represent a sample of the talent and drive that exists in the veteran community. Our fellowship serves as an incubator for employment and small business development, giving our fellows the space and time to define what success means for them, and empowering them with tools and resources to achieve it for themselves. Interested in our Fellowship Program? Applications for our Summer 2019 Fellowship are now closed. Winter 2020 applications will open starting this summer. Learn more about our Fellowship Program here. Kelvin was born and raised in Los Angeles, California. He received a B.S. in Food Science from Kansas State University, and studied professional brewing at the University of California, Davis. Kelvin recently completed graduate school in France, leading to an international Master’s degree in Food and Agribusiness Management, with an expected graduation in February 2019. Kelvin was commissioned in the Army in 2007 and served over 5 years on active duty, including one deployment to Iraq. His positions ranged from company executive officer and platoon leader to command facilities engineer and observer controller/trainer. After completing the Dog Tag Fellowship, Kelvin plans to start his own agribusiness. He thinks DTI is a great opportunity to learn more about running a small business. Stephanie Dempsey was born in Minnesota, and has lived in a variety of Northern states including Fort Drum, NY. She graduated with a degree in English from the University of Iowa. Stephanie has always been curious and ready for adventure. In particular, she wonders often about human limits and what we perceive we can do. She wants to learn more about reframing experience, and how that intersects with trauma, hardship, resilience, creativity, and community. As a caregiver for her husband who served in the Army, she has seen first-hand the destruction “invisible wounds” from military service can cause. Determined to adapt and persevere, she is currently a single parent while her husband gets the treatment he needs. Stephanie doesn’t know what’s going to happen next in her life, which has forced her to face her own dependence as she wades back into the job market. Dog Tag is part of her change for the better. She hopes to leave the Dog Tag Fellowship with the skills and confidence to enter the workforce in a meaningful way; her goal is to learn the entrepreneurial skills to build a community that recognizes and honors what is special in each of us, and makes it possible to share with others. Stephanie’s favorite baked good is apple raspberry pie. As the daughter of an Army veteran, Teresa Vanderford lived in many locations during her childhood, but now claims Northern Virginia as her home. A recently retired Air Force veteran of nearly 23 years, Teresa’s background includes the food service and hospitality industries, as well as nine years serving as an Enlisted Aide for two General Officers. Prior to retiring in 2018, Teresa served in the Pentagon’s Air Force General Officer Management Office as the Program Manager for the Air Force Enlisted Aide Program. Teresa attended Ashford University and graduated with a Bachelor of Arts in Organizational Management. Additionally, she is certified through the Culinary Institute of America as a Professional Chef Level 3. Teresa hopes to unite her experience and talent with the tools and basic fundamentals of business that DTI provides as a jumpstart into a successful career in the hospitality industry. Her favorite baked good is a pavlova, as it is reminiscent of her mother. Patricia Granan grew up in Syracuse, New York. She earned her Bachelor’s degree in Business Management from the University of Phoenix, and her Master of Business Administration from American Military University. Patricia served over 29 years on active duty in the United States Air Force and will retire as a Chief Master Sergeant. She spent her first nine years as a Services Specialist where she gained experience as a food service accountant, a Quality Assurance Evaluator for the food service contract, and in mortuary affairs. Patricia re-trained and spent the remainder of her career as an Air Force Paralegal. During this time, she served as an instructor for combat skills training, Law Office Superintendent, Command Paralegal Manager, and Paralegal Career Field Manager. Patricia has always aspired to become a small business owner, and she believes this fellowship program will provide her with the necessary skill-set to move forward in becoming an entrepreneur as she transitions to civilian life. Patricia’s favorite baked good is peanut butter cookies. Joshua hails from Tazewell, VA where he graduated from Tazewell High School in June 2011. In March 2014, Joshua enlisted into the United States Navy as a Master-at-Arms (more commonly known as military police). He was responsible for maintaining gate integrity, conducting law enforcement, responding to emergency situations, and de-escalating situations. October 19, 2016 had different plans for Joshua when he became a stroke patient, and then a stroke survivor. Within minutes, his entire Naval career had been decided, and he medically retired two years later. What brought him to Dog Tag and what he hopes to gain can be simmered down to the same word: direction. Since his stroke, he feels he hasn’t truly had any. He hopes to regain a sense of purpose and find himself through pursuing a business career. He has heard nothing but great things about the Dog Tag Fellowship, and is humbled to have this opportunity. His favorite baked good is tied between cookies and cupcakes. Brooke was born in New Rochelle, New York, and raised in Millwood, New York and Arlington, Massachusetts. She received her undergraduate degree in Sociology from Connecticut College, and her Masters in Public Affairs from the University of Minnesota. Patrick Rashad Mason was born and raised in Johnston, South Carolina. Patrick’s education includes an Associate’s in Culinary Arts from Stratford University, and a Bachelor’s in Business Management from Devry University. Patrick served seven years in the U.S Army as an Information Technology Specialist, spending his military career in Korea, Fort Hood, Iraq, and The Pentagon––eventually rising to the rank of Sergeant. Upon completion of his military service, Patrick worked as a government contractor for several years before deciding to switch his career to culinary arts. Patrick appreciates Dog Tag’s commitment to veterans and their families. He is most excited about learning the educational and practical knowledge of running a small business first-hand, as well as the networking opportunities Dog Tag provides. Patrick’s favorite dessert is cookies and cream ice cream. Marlita grew up in Charlottesville, VA, and received a B.A. in Sociology from the University of Massachusetts-Amherst. Marlita is a military spouse; her husband is stationed in Japan with the United States Air Force. Eleven years as a yoga instructor, blended with military moves, have given her impactful opportunities to work with children and adults with special needs, as well as active-duty military members and their families. Marlita has trained in trauma-sensitive and adaptive yoga techniques for populations with special needs, as well as with Warriors at Ease. Marlita discovered Dog Tag while stationed in the DC area and soon applied to the fellowship program. Through Dog Tag, Marlita hopes to gain a foundation in entrepreneurship that will support avenues for providing yoga as a complementary therapy to medical care. Marlita has a hard time passing up any fruit pie. Jason was born in the high desert of California and raised all over the Golden State. He spent 20 years in the Army as a Behavioral Health non-commissioned officer. He has four kids with his wife and caregiver Kimberly, plus a service dog-in-training. Jason was introduced to Dog Tag through the 100 Entrepreneurs Project while recovering at Walter Reed. He hopes to learn how to run a small business as well as a nonprofit. Jason loves to learn and loves teamwork. He hasn’t been this excited about anything since he was in the military. His favorite baked good is banana nut bread. A native of Savannah, Georgia, Emma received her B.A. in History from Davidson College and a Masters in Social Work from The Catholic University of America. As an Army spouse of over 21 years, Emma has lived all over the country––including Washington DC, Virginia, Georgia, Texas, and New York. Emma has worked as a social worker, assistant director of a crisis program, program manager, paralegal, and administrator in non-profit organizations, law firms, and companies. A mother of three, Emma also volunteered in her children’s school and for the West Point Spouses Club at her family’s last duty station. After 23 years of service, including combat zone deployments and an assignment to the Korean peninsula, her husband has retired from the Army. It has become clear to her that this is the perfect inflection point in her life to seek out additional self-improvement in the area of small business and entrepreneurship. Although Emma is open to all opportunities, she hopes to use her social work background and knowledge gained through the Dog Tag Fellowship program to start a business that will help other military members. Given her home state, it should be no surprise that her favorite dessert is peach cobbler. Bonnie is a native of Damascus, Maryland. She attended high school in Dallas, Texas where she received an NROTC scholarship to The Pennsylvania State University. There, she received her Bachelor of Arts in Media Studies and was commissioned in the Navy. During her nine years on active duty, Bonnie served as a helicopter pilot flying the MH-60S Knighthawk on logistical, special warfare, and search and rescue missions throughout Europe and the Middle East. After transitioning to the reserves for three years, and realizing the difficulty of future deployments with an active duty spouse and a growing family, she decided to leave the military to focus on her family and pursue other interests. Currently Bonnie is a Navy spouse, the mother of two wonderful children, and has her own business as a personal stylist for a custom menswear company. 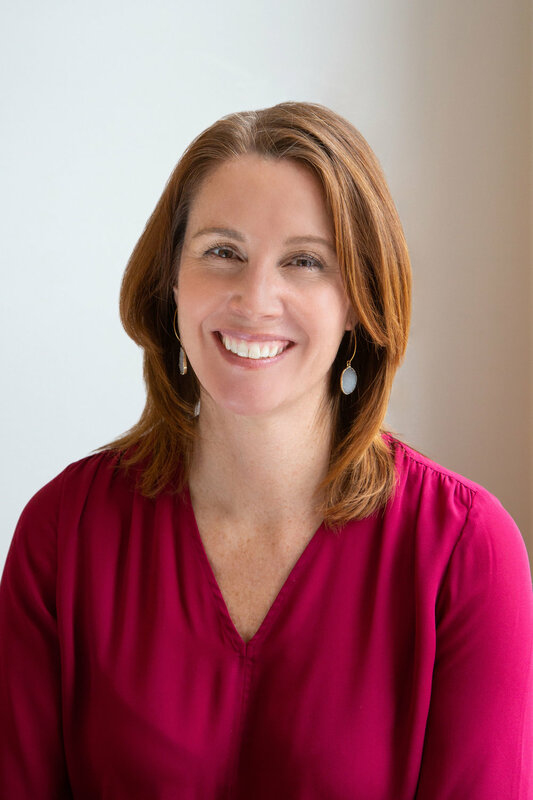 She discovered Dog Tag at a Military Family Association networking event, and immediately knew that this Fellowship was exactly what she needed to unlock her current career’s full potential and open doors to future service and community building. Her favorite baked good is crusty, home-baked bread that brings back memories of her days stationed in Bella Napoli. Brian is the oldest of three in his family, and grew up all over Orange County in Southern California. He graduated with a high school diploma from Pacific Coast High School, an Independent Study school located in Tustin, CA. Brian is a military spouse to his wife, who is currently active duty serving in the Northern Virginia area with the Air Force. He is also a stay-at-home dad to his three-year-old son and eight-month-old daughter, while simultaneously running his small business as a photographer. His interest in Dog Tag began after his wife heard about the program during the Senior Leader Orientation Course at Joint Base Andrews. Brian’s long time goal is to build a highly successful photography business, in order to provide new opportunities for his family and to allow his wife to spend more time at home. He is determined to learn more about the areas of business that he struggles with and how to improve for the future. Brian believes Dog Tag’s program will give him the tools to become successful. Without a doubt, Brian loves devouring his wife’s homemade chocolate chip banana bread. Born and raised in Milwaukee, Wisconsin, Jermaine is currently enrolled in Cybersecurity studies at the University of Maryland University College, with an estimated graduation date of June 2019. Jermaine retired after 21 years of Naval service as a Chief Petty Officer. His duties as an Information Systems Technician were to maintain Local Area Network infrastructure on shipboard and shore installations, manage secure satellite communication networks, and professional development of assigned junior personnel. 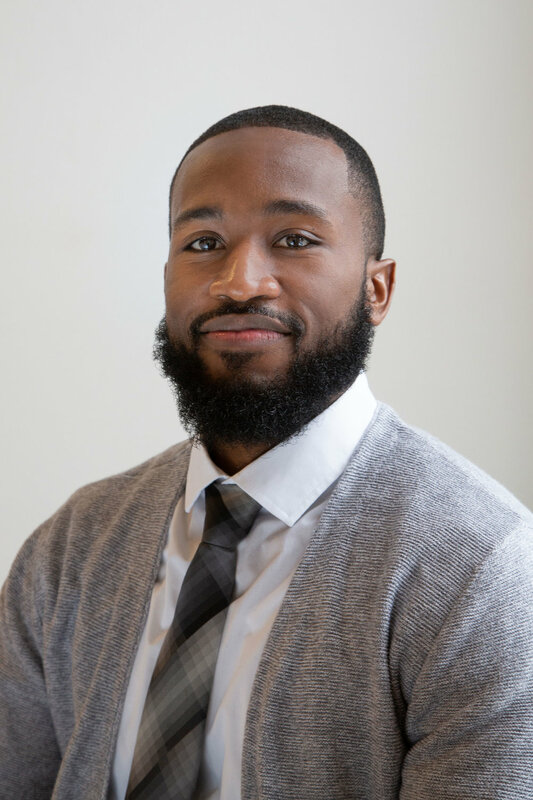 Jermaine is most excited about joining Dog Tag because of the program’s commitment to developing his skills as a well-rounded individual, ready to tackle the challenges facing him as a business owner or employee. He sees Dog Tag as a robust, challenging program that will give him a leg up in the real world––and he would be remiss if he forgot to mention some of his best childhood memories were his mother taking him to a bakery to buy jelly-filled Long Johns donuts. His BBF (“Best Baked Friend”) is a Strawberry Shortcake! Desiree proudly served 24 years as an Army Aviator, serving in various command assignments––acquisition, logistics, testing, evaluation, procurement, equipping, ATC and even as a Congressional Fellow. Her favorite movie is Top Gun; she wanted to marry Maverick, until her helicopter had an engine failure. She gracefully fell out of the sky, almost crash landing on the man she later married. After retiring with her husband, Desiree co-founded American Butchers and Beyond the Butchers, along with her two sons. Desiree sees herself as a catalyst for change, and loves creating solutions when others believe something can’t be accomplished. This roll-with-the-punches attitude has carried Desiree through life; she never sugarcoats anything (unless she’s frosting cupcakes). Desiree is excited to attend the Dog Tag Fellowship for the opportunity to learn more about running a bakery and how DTI balances the fellowship program with yoga, as her family is exploring adding both to their business growth model. Her favorite baked good is Swedish Princess Tortes, especially when she’s eating them on her birthday. Interested in our Fellows? Learn more about our Alumni and Fellowship program.